Goal setting goes out of the box! If you love making vision boards, you’ll absolutely adore this unique, 3-dimensional, and tactile approach to creating your very own beautiful Dream Box with the new Dream Box Kit! 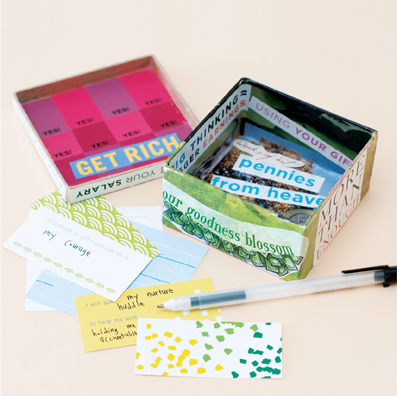 Even if you’ve never made a vision board before or you don’t consider yourself crafty, this kit will gently guide you through a visual and creative process of reflection, inquiry, and planning that’s easy and fun. Your finished collaged box will be a personal, portable work of art and a visual reminder of your big dreams. Plus with a focus on getting support and taking action, you’ll be inspired to move forward and make your dreams a reality. It’s like participating in a creative workshop & getting powerful life coaching right from the comfort of your own home! The steps and supplies are provided for you. All you need to do is grab a stack of magazines and some scissors, roll up your sleeves, and dive right in. Price: $35.00 per kit (plus shipping and handling). International orders may incur customs charges. OR save on both kits together! Save $10 when you get the Dream Box Kit and the Unfolding Your Life Vision® Kit together (select Color Combo in drop-down menu above the Buy Now button). Please note that colors may vary based on stock. Please choose your UYLV Kit color in the drop-down menu below before clicking Buy Now button. Price: $55 for bundle (plus shipping and handling). A meaningful present to celebrate milestone occasions like birthdays, bridal or baby showers, weddings, or graduations. Perfect for that special gal pal who’s in transition or needing a creative boost of inspiration. 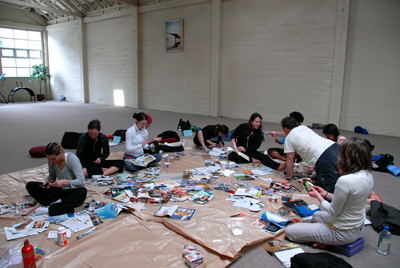 Want to lead Dream Box workshops? 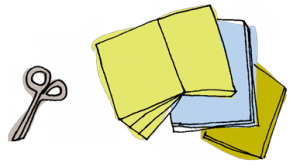 Become an Unfolding Your Life Vision® Licensed Facilitator AND get the rights to also lead Dream Box workshops PLUS Exploding Box Year-in-Review workshops! It’s a done-for-you-system that walks you through how to market and lead these unique and engaging experiences so you can make more money doing what you love. Perfect for life coaches, workshop leaders, teachers, artists, and creative souls wanting to grow their own business. 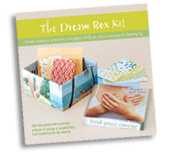 Plus, licensed facilitators get special discounts on Dream Box Kits and Unfolding Your Life Vision® Kits. Find out more about the licensing program here. 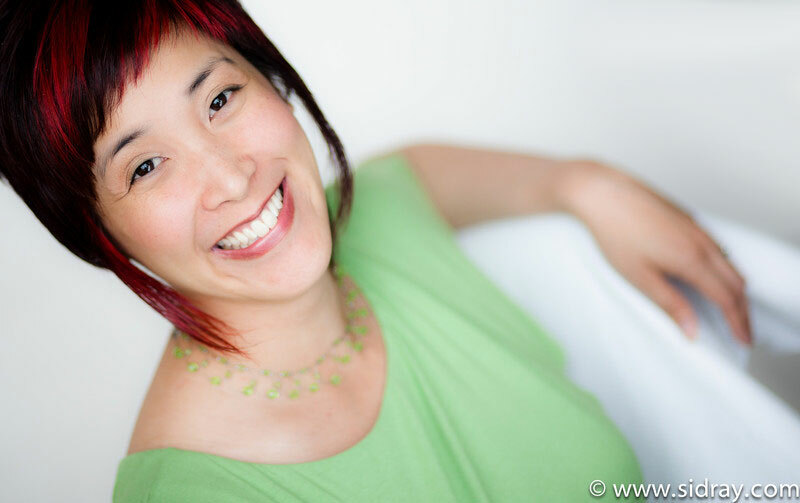 I’m a certified coach, author, artist, and yogini who believes in living life in full color. My book The Right-Brain Business Plan: A Creative, Visual Map for Success (New World Library, 2011) has helped thousands of entrepreneurs around the world grow their business authentically and creatively. After spending 10 years climbing the corporate ladder and getting tired of living my dream “on-the-side,” in 2006 I took the leap to pursue my passions full-time and now help others do the same. I have developed popular programs and products and have licensed facilitators around the world who lead Right-Brain Business Plan® and Unfolding Your Life Vision® workshops based on my unique and visual approach to business and life coaching. As someone who deeply values learning and personal growth, I’ve received my coaching certification through the Coaches Training Institute, I’m a certified yoga instructor, and a certified Expressive Arts Facilitator. I also hold a B.A. in Communication Studies from UCLA and an M.A. in Communication Management from USC. When I’m not coaching, writing, or leading groups, I’m either painting up a storm, reading in my hammock, practicing yoga, getting crafty, indulging in a mid-day nap, hiking with my sweet husky-lab mix, or hanging with my hubby. 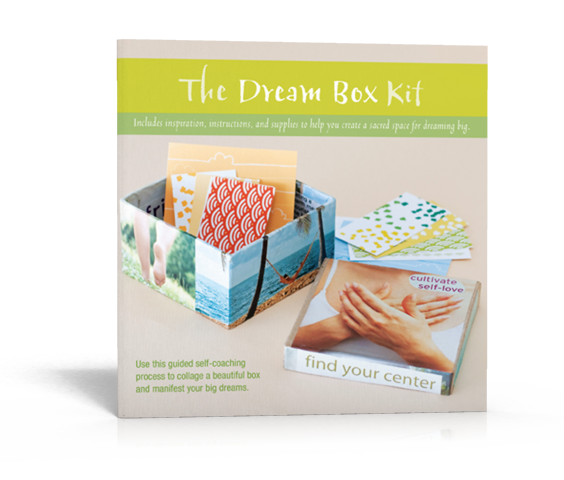 How is the Dream Box Kit different from the Unfolding Your Life Vision® Kit? The Dream Box Kit helps you uncover your big dreams and provides a process for getting support and taking action to make your dreams real. The end product is a beautifully collaged box that you can carry in your purse or place on an altar. The Unfolding Your Life Vision® Kit helps you look at various aspects of your life including health, relationships, wealth and abundance, career and calling, and more and guides you through creating an action plan to take steps in each of those areas. The end product is a unique collaged accordion book that can fit in your pocket (and hey, go figure, it even fits perfectly inside of a Dream Box!). What if I don’t consider myself creative? 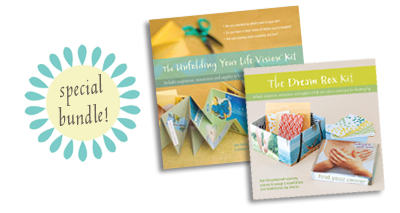 Both the Dream Box Kit and Unfolding Your Life Vision® Kit are accessible and easy ways to create unique vision boards. No special talent or skills are required. If you can cut and glue, you’ll be fine! Oh and, by the way, I actually think everyone is creative and that does include YOU! What if I have big dreams and the box is too small? The kit includes a small box that is perfect for placing on an altar in your home or carrying in your purse. The small size makes it a great portable touchstone. However, if you’d prefer to make a larger Dream Box, you are more than welcome to use a shoe box or any other sturdy box that tickles your fancy. So, I collage a box and then my goals come true just like that?! Well, it’s not quite that simple. Creating the Dream Box helps you articulate what you want in your life and empowers you to set a clear intention. You’ll also need to take action steps in the real world to move toward that dream. But don’t worry, action planning is included in the process! And don’t be surprised if your dream manifests in slightly different ways than you anticipated. Be open to what emerges, it might even be better than you could have ever imagined. © 2003-2018 Unfolding Your Life Vision® - Jennifer Lee, Artizen Coaching® All rights reserved.